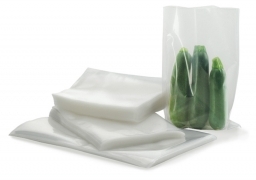 The best Vacuum-Sealer Rolls (70 % stronger than the normal Lava E-Vac Rolls) for your food and products (Made in Switzerland!). 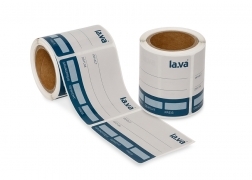 These high quality embossed / textured Vacuum Sealer Rolls can be delivered in many different sizes and they are perfect for your Lava and garanteed also for any other vacuum sealer model in the market. 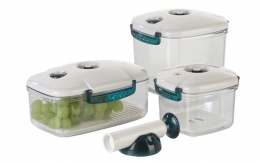 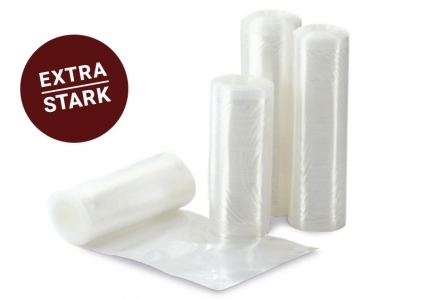 Why do I need for my Vacuum-Sealer embossed or textured vacuum-rolls? 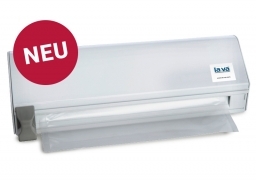 A so called "external Vacuum-Sealer" where the bag is in front of the sealer and not inside, vacuumizes only, when the foil has a kind of textured or embossed structure, because otherwise, when there is only a smooth, normal standard vacuum-bag or vacuum-roll, the two smooth foil-sided press on each other and no air can be removed. 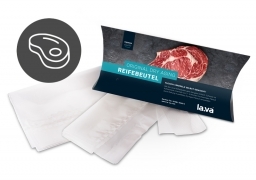 Lava delivers probably one of the best Vacuum-Sealer Rolls with embossing or texture worldwide, because these bags are Made in Switzerland exclusively for Lava and 100 % free of BPA and no recycled material will be used for production. 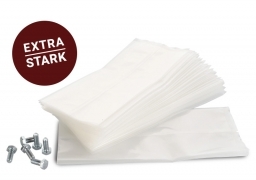 Order here extra strong vacuum-rolls for every machine brand in more than 40 sizes!